I have received a few very special gifts in my life, and one in particular that might be very surprising. This gift was a can of mushrooms. This was not just any can of mushrooms; it came wrapped in sparkly, glittery, neon wrapping paper with a huge crooked bow on top. This gift was not given to me on any special day or for any special reason; it was simply a gift. This gift was given to me by a young boy with autism at The Kinney Center to say thank you for spending my summer with him at Camp Kinney. 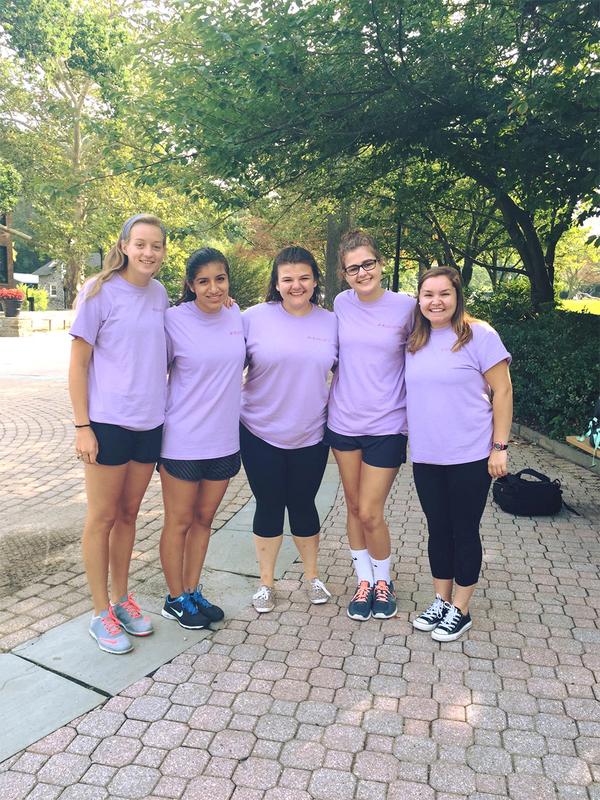 My journey to finding myself at Camp Kinney on the campus of Saint Joseph’s University is not your typical story. When I was searching for colleges, I looked everywhere. It probably looked as though I threw darts at a map or that I sought to be as far from home as possible. But in reality, I was open to anything and ready for a new adventure. This adventurous spirit within me led my family on a college search across the country from our home in Omaha, NE to the East Coast and eventually, to Saint Joseph’s. I stepped onto campus, looked around, and knew. This was home, but I had no clue why this felt like home. I did not realize one unique opportunity that lay before me until I received a pamphlet in the mail about being a part of the Kinney Center SCHOLARS team. This stands for Students Committed to Helping Others Learn About Autism Research and Support. 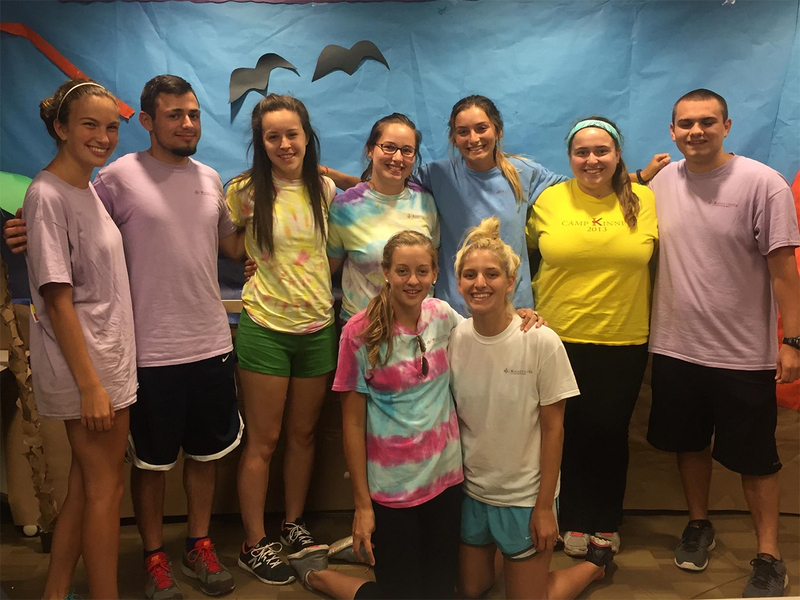 It is a job for undergraduate students to work on campus with individuals on the autism spectrum. That’s all I knew, but I knew that this was meant for me and I gave everything to being a SJU Hawk and a Kinney SCHOLAR. As I firmly believe, everything happens for a reason and I found myself hopping on a plane and spending my first summer out of high school working at Kinney in their apprentice program. Since the day I landed in Philly, I have not once regretted my decisions or felt homesick because this has become a part of my home. Working at the Kinney Center has been an immense part of this. Being a Kinney Center SCHOLAR to me means living my passion every day, giving and receiving gifts constantly, celebrating every moment, and being a part of something far beyond my own capabilities as one person. 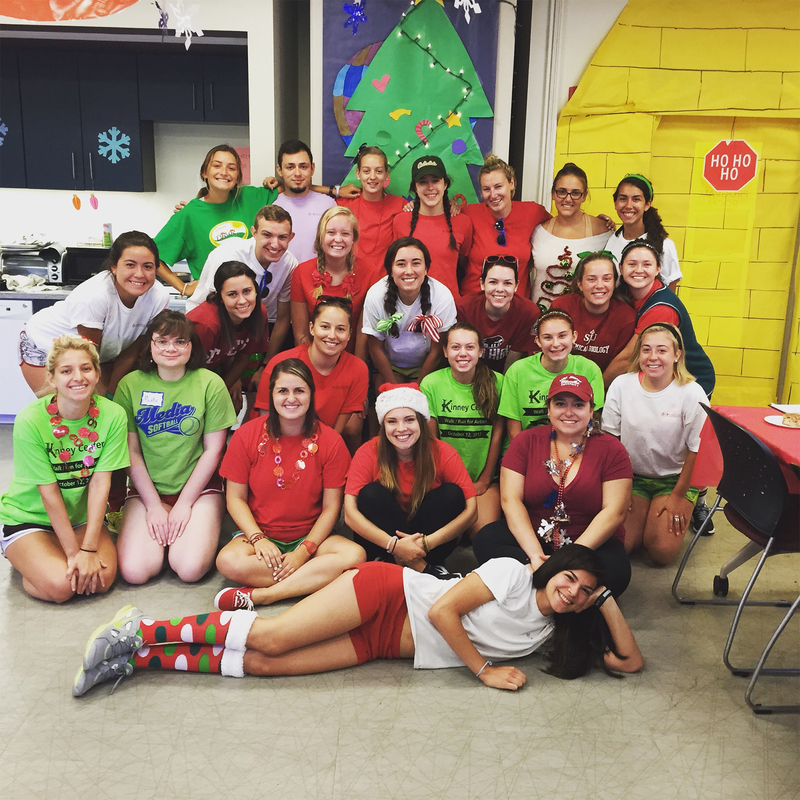 At the Kinney Center, we serve people of all ages on the autism spectrum by providing recreational and educational programs rooted in the Jesuit mission. Their families become part of ours. Their stories become part of ours. Their victories become part of ours. My time at Kinney has made me look inward and recognize my passion for educating those on the autism spectrum by seeking to provide them with the home atmosphere and quality services that the Kinney Center embodies. Saint Joseph’s and my experience at Kinney has given me the gift of myself by helping me tap into what makes my heart beat, what makes my face brighten, and what makes my head fill with knowledge. My little can of mushrooms sitting on my windowsill at home reminds me of this every morning. Even when it is hard, even when the days are long, even when frustration is mounting, I am receiving so much. For this, I am the one who says thank you. 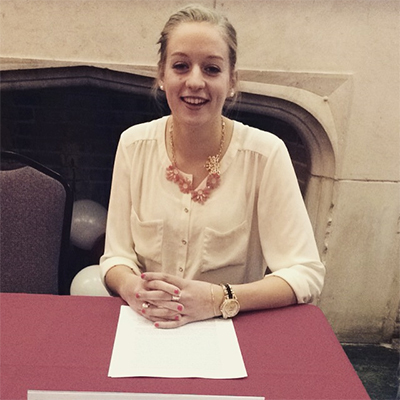 Liz Knezetic’17 is majoring in Education and Special Education with a minor in Autism Studies. She is from Omaha, Nebraska but has quickly found Hawk Hill to be her second home. She spends her time working at the best job that she could ask for at The Kinney Center, working with students and faculty through University Student Senate and prepping for a trip to Appalachia. Being a part of these things makes her so thankful to be a Saint Joseph’s student surrounded by endless opportunities and immersed in this enviable community.